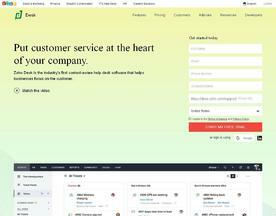 Zoho Desk makes solving tickets easier for agents, decision-making faster for managers, and receiving help a better experience for customers. Get the best help desk software in the industry, without burning a hole in your pocket. 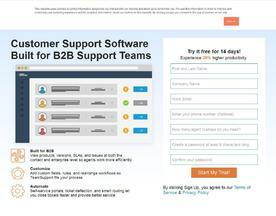 TeamSupport helps B2B software and technology companies provide more seamless, effective customer support by enhancing collaboration and breaking down internal barriers. Try us free for 14 days and experience the Team difference!